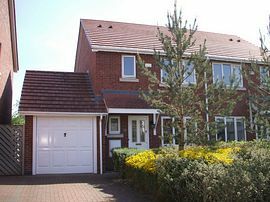 Furnished and equipped to a high standard comprising 3 bedrooms, bathroom has bath and shower over and additional downstairs WC. 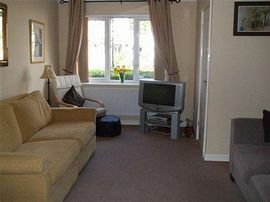 Sitting room with Freeview TV, Free Internet, DVD. 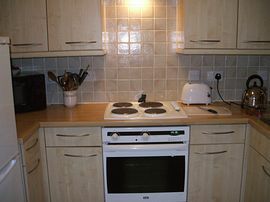 Kitchen with dishwasher, fridge/freezer, hob/oven, microwave. Dining area with patio doors leading to enclosed patio area with outdoor furniture. A laundry area with washer and dryer. 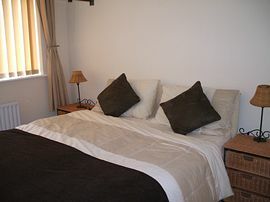 Upstairs are three bedrooms, one with a king size bed and Freeview TV, a twin bedroom with Freeview TV and a single bedroom plus pull out bed. There is also a bathroom with bath and shower over, basin and WC. Private off road parking directly outside. 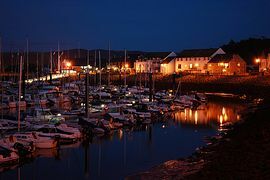 Walking distance of Conwy Golf Club. We have welcomed guests with wheelchairs. Enclosed patio area with outdoor furniture. .
Llandudno Junction (taxi office on site). By Bus: 2 minute walk. Airport: Manchester or Liverpool are 70 miles. From £350 to £750 per week fully inclusive.